Portable Appliance Testing (PAT) is the term used to describe the examination of electrical appliances and equipment to ensure they are safe to use. Most electrical safety defects can be found by visual examination but some types of defect can only be found by testing, this is when PAT comes in handy. Portable Appliance Testing (PAT) is a service commonly used by domestic and commercial customers alike. It is a process during which electrical appliances are routinely checked for safety. The formal term for the process is “in-service inspection & testing of electrical equipment”. Testing involves a visual inspection of the equipment and any flexible cables for good condition, and also where required, verification of earthing (grounding) continuity, and a test of the soundness of insulation between the current carrying parts, and any exposed metal that may be touched. The formal limits for pass/fail of these electrical tests vary somewhat depending on the category of equipment being tested. British law requires that all electrical systems (including electrical appliances) are maintained to prevent danger. Private houses are not covered by this legislation, although occupiers’ liability requires householders not to deliberately expose occupants or visitors to unreasonable risks. The HSE and the local authority are responsible for the policing of this legislation. If you need to have a PAT inspection carried out in your property why not give David Love Property a call? We can test all the electrical items in your home / business. Our electricians have had had PAT training, and know what signs to look for in an inspection. In a low-risk environment most dangerous defects can be found simply by checking the appliances for obvious signs of damage such as frayed cables. 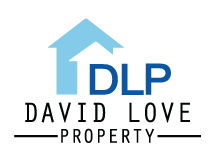 Book your PAT inspection with David Love Property now!